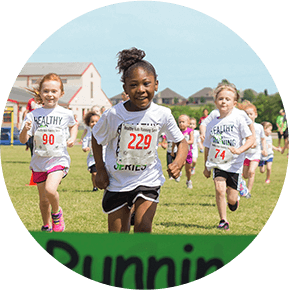 Healthy Kids Running Series was created by Jeff Long, Founder and President of Pattison Sports Group, to motivate kids to lead a healthy and active lifestyle through a positive introduction to the world of running. 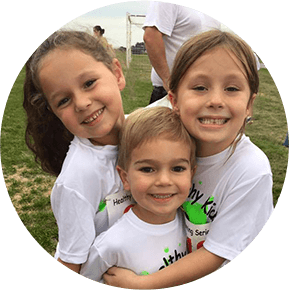 To combat increasing rates of childhood obesity in America, Jeff designed a running program that provides a fun environment and builds self-esteem. Jeff believed the program would encourage kids to adopt a “Get Up and Go” attitude. 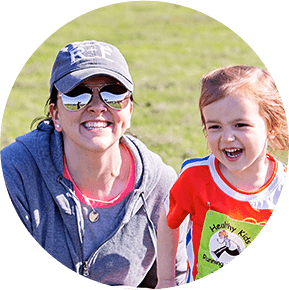 HKRS is a national, community-based non-profit that provides a fun, inclusive five-week running series for ages 2-14, designed for kids to get active, feel accomplished and lay the foundation for a healthy lifestyle. Jeff’s own background as a collegiate runner and sports marketing guru helped set the course as the program continues to power forward with all new community locations, a growing team of volunteers and sponsors, and an unwavering commitment to happy, healthy kids all over the country. WHAT THEY ARE REALLY LEARNING IS VALUES FOR LIFE.